I’m trying to work more color into my scratchboards. Scratchboard is a very effective medium for strictly black and white, but it can also be very striking with the right application of color. I’ve been experimenting with various inks and pencils, trying to develop a technique to produce the kind of look I want. I’m not there yet. This stage is always the most frustrating. Knowing where you want to be and mucking through the work required to learn how to get there. Color on scratchboard is entirely different from color on canvas in oil paint and what I know from working with oil paint isn’t all translating well to scratchboard. 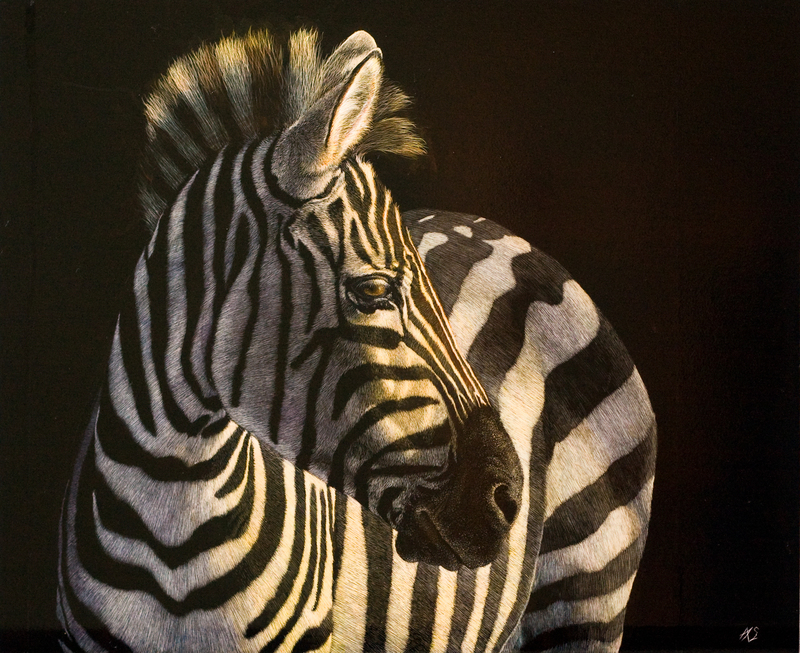 The zebra was the most complex to color, getting the balance between warm light and cool shadow right, and the point where the two merged was difficult. 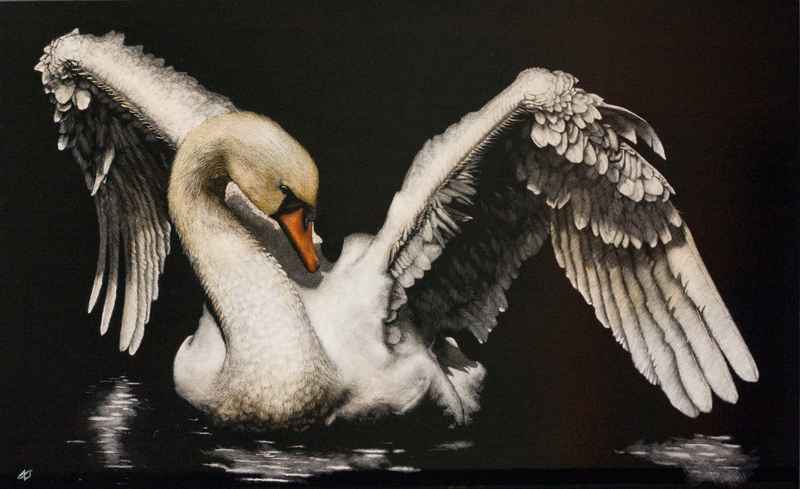 The swan was far more difficult to scratch and I used the blade, a dremel bit, sandpaper, and steel wool to get the right effect on the feathers.